The inefficiencies of moulding a brick or block in a mould then tasking an artisan to lay them. Then chase the walls for water and electrical services. Then relying on another artisan to plaster the walls. Depending on the skills and ability of artisans to produce a house vs. casting a house in a mould employing unskilled workers – eliminating the need to chase and plaster, in a day, at a known cost. Molding or moulding is the process of manufacturing by shaping liquid or pliable raw material using a rigid frame called a mold or matrix. This itself may have been made using a pattern, a model or formwork of the final object. A mold or mould is a hollowed-out block (cavity) that is filled with a liquid or pliable material such as plastic, glass, metal, ceramic raw material or mortar (sand and cement). The liquid hardens or sets inside the mold, adopting its shape. A mold is the counterpart to a cast. Hennie Botes CEO of moladi highlights the smooth of shutter finish of the classroom wall. The reusable modular lightweight plastic formwork (mold or mould) is removed the day after casting. 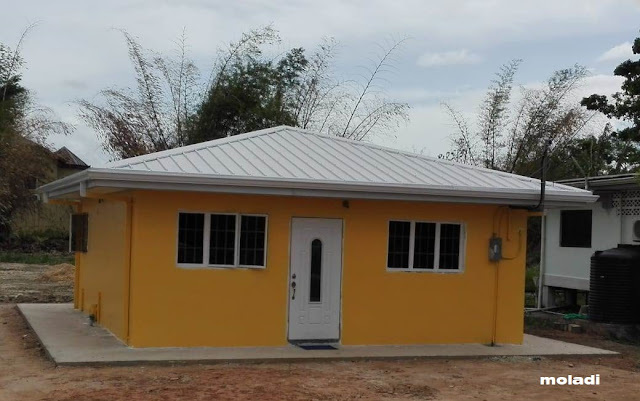 moladi Construction System aims to address the challenge by providing a scalable, low-tech and low-skilled affordable building solution using in-situ casting. 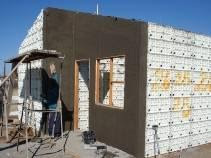 Founded in 1986 by South African social entrepreneur Hennie Botes, the company aims to replace the classic brick-and-mortar construction with an easier method: using a patented lightweight, removable and re-usable plastic injection moulded formwork system that is filled with fast setting aerated mortar to cast entire houses on-site. The process is deliberately designed to be labour intensive to boost local employment and local production without requiring prior construction experience or skills. The moladi construction process mostly uses local supplies apart from the reusable formwork and a special additive to aerate the mortar (concrete without stone) to reduce the density, thereby enhancing the thermal properties of the structure. The other function of the additive is to water proof the wall and enhance the flow ability of the mortar within the formwork eliminating the need to vibrate. Through creative engineering and sophisticated manufacturing, moladi aims to advance living standards and spaces affordably. 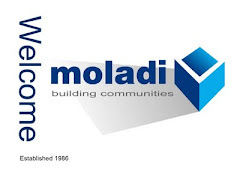 moladi is an advanced building technology that utilises an innovative re-usable plastic formwork system to reduce the required skills to produce quality affordable homes and other structures that are socially acceptable by speeding up delivery and thus reducing cost. By emulating the methodology of the automotive assembly line, moladi implements the principles applied by Henry Ford; reducing cost by increasing production output by de-skilling the production operation, making homes affordable. The advantage that moladi brings to the “production process” is that the process can measured and maintained, ensuring consistent speed and quality within budget. How many bricks or blocks are laid per day? Are the quantity of bricks or blocks laid per day the same for every day of the week? What happens when the bricklayer does not come to work? Is the dagha (mortar) mix to lay the bricks or blocks consistent? 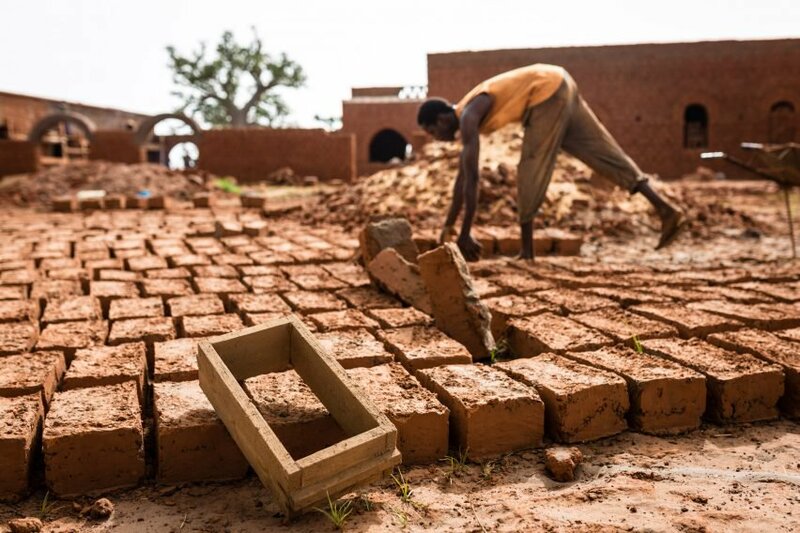 How many bricks or blocks are wasted or broken or stolen? Are walls straight plumb and square? How long to chase for electricity piping? How long to chase for water piping? How long does it take to do beam filling? How long does it take to plaster window reveals? Is plaster thickness consistent or does it vary? Is the plaster mix consistent? This leads to the question: Are the inefficiencies of the brick and mortar construction process making homes unaffordable for most? By applying moladi the above variables are excluded from the equation. Erecting the formwork is constant. Formwork holds a constant precise volume. Mortar is a known consistent compressive strength. Time to position and bind reinforcing constant. Filling the formwork is consistent. Removing the formwork is constant. Mould closes – Material injected – Cools – Ejects the finished component. A known cycle time at a known cost. Speed reduces cost - A “lean construction” principal. This follows from the same logic that the fewer the number of operations, the higher the quality of the product and a predictive timeline, resulting in cost savings. moladi formwork system provides and assists with the full range of requirements involved in the transfer and use of a proven low-cost construction technology. 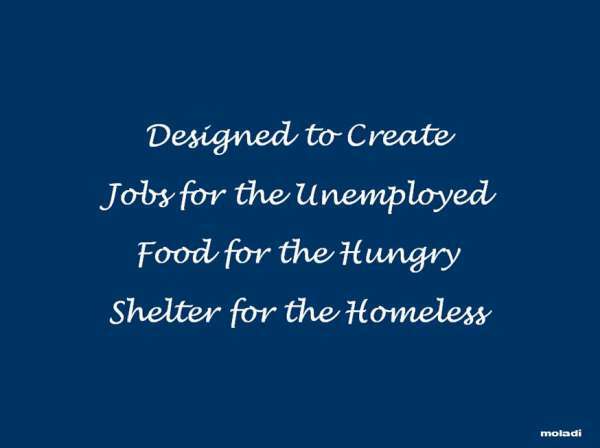 moladi supplies technology and supports transfer of know-how to empower individuals to achieve self-worth, by meaningful action to raise those at the “bottom of the pyramid” to a higher level, supplying a proven technology with an impressive track record (Est. 1986). 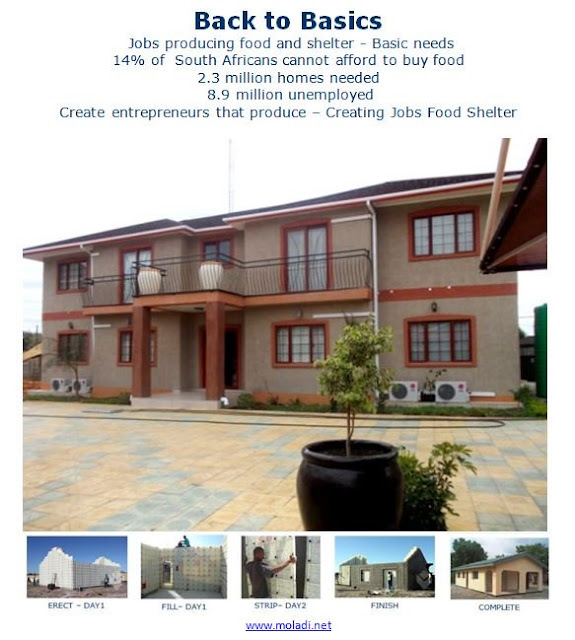 This is how moladi can address the delivery of quality homes in less time, creating jobs by employing unskilled local labour - developing skills and entrepreneurs. 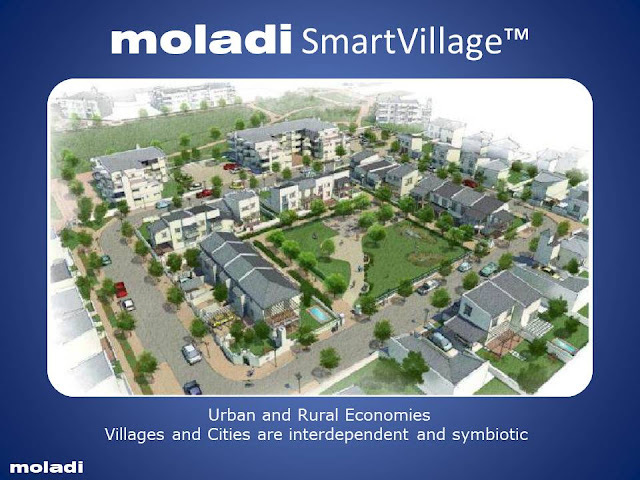 2012 – moladi selected as a finalist of the international Frost & Sullivan Green Excellence Award for Sustainable Development. 2012 – International Case Study conducted by FSG and the Rockefeller Foundation - Shared Value in Emerging Markets. 2012 – Nominated by the Europe Business Assembly for the International Socrates Prize in economy and business category. 2012 – Co-operative Finalist with Kingston University in the international Hult Global Case Challenge in association with the Clinton Global Initiative. (United Nations Development Programme) - Growing Inclusive Markets. Science and Technologies best man by Men’s Health magazine. held by Data Bank in Accra, Ghana. Bank and NHBRC (National Home Builders Council) national competition in South Africa. African Bureau of Standards - Design for Development Award, South Africa.